Laura is a certified planner, specializing in active transportation, who joined PPS in 2016. As a Deputy Director of Transportation Initiatives, Laura works with the PPS Transportation Team on key programs including the Bass Transportation Initiative, including Streets as Places and Healthy Places. She brings over 25 years of experience from the private, public, advocacy, tourism, and health sectors. 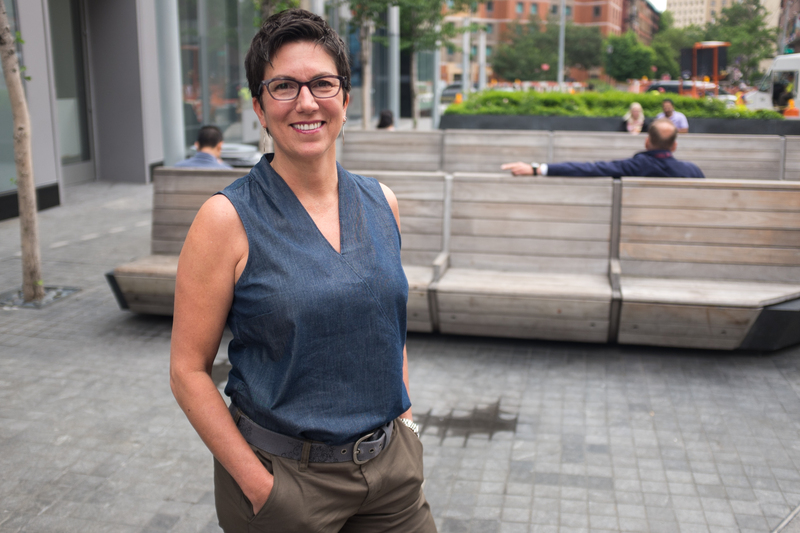 She puts people first while making the health and equity connection to transportation policy, programs, and street design. But above all, she is a dedicated community champion who has applied her professional expertise to her hometown in northern New Jersey. Laura brings to PPS considerable expertise on Complete Streets and Safe Routes to School (SRTS): she was a part of the New Jersey Department of Transportation’s award-winning efforts on both, as a consultant with The RBA Group. During her time with the SRTS National Partnership, Laura facilitated collaboration among New Jersey’s state, regional and local leaders to further fund and implement Complete Streets and SRTS programs. Most recently she led and managed the Eat. Play. Live… Better Coalition - a regional healthy eating/active living initiative. And for a few years, on weekends, she led inn-to-inn bicycle tours. Throughout her career Laura has applied her creativity and professional knowledge to benefit her hometown of Montclair, New Jersey. As board member and past president of Bike&Walk Montclair she has challenged her community to take bold leaps by using Lighter, Quicker, Cheaper projects such as pop-up protected bike lanes, youth engagement, Saturday slow bike tours, intersection murals and more. In doing so, she helped her community pass NJ’s first municipal Complete Streets policy, achieve NJ SRTS Resource Center Gold SRTS status, and Silver Walk- and Bronze Bike Friendly Community status.